Outlet provides UPB appliance control with a custom, built-in appearance. Replace any electrical outlet in your home with the UPB Split Duplex Receptacle, and you’ll be able to control any light or appliance plugged into the top outlet with any UPB wall switch or multi-button controller or with your PC through a UPB interface module (all not included). 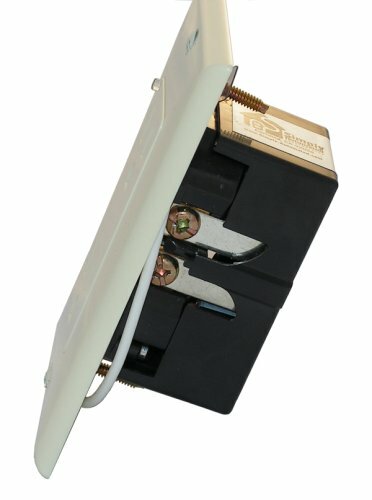 The UPB Split Duplex Receptacle is a wired-in duplex receptacle designed to control the operation of 120VAC appliances and lighting based on digital commands received over the powerline. The receptacle communicates using the highly reliable Universal Powerline Bus (UPB) technology. The UPB Split Duplex Receptacle delivers on/off control for lighting and appliances up to 12A. 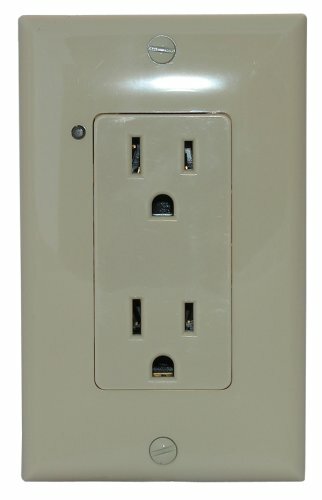 The receptacle fits a standard outlet box and connects directly to the existing household power wiring. Power to the top outlet is controlled by UPB commands, while the bottom outlet is always powered. UPB technology delivers exceptional reliability and noise immunity at a much lower installed cost when compared to hardwired and RF solutions, and you’ll experience no interference from adjacent homes. UPB technology is not X10 compatible.